I really love roasting vegetables and can make them healthier and still full of flavor. 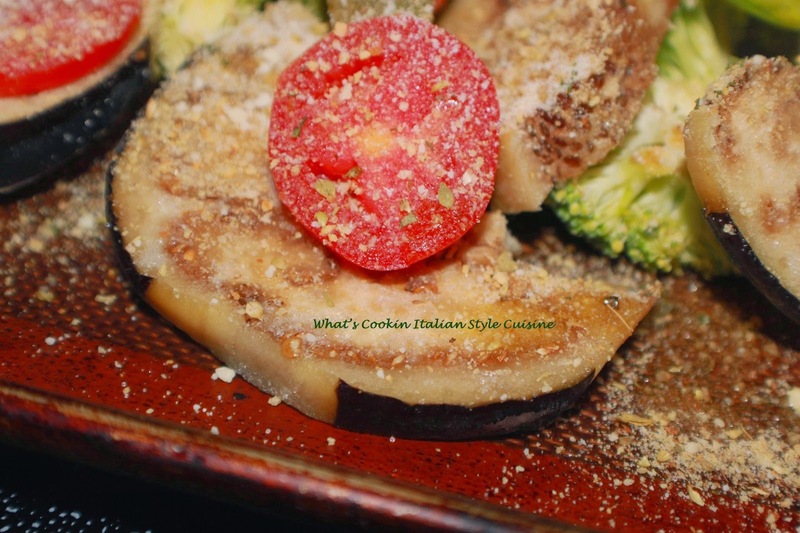 Panko Roasted Eggplant Recipe is amazing and delicious! This is one of those fast and easy slice, season and roast vegetables that are addicting to me and go with any meal. 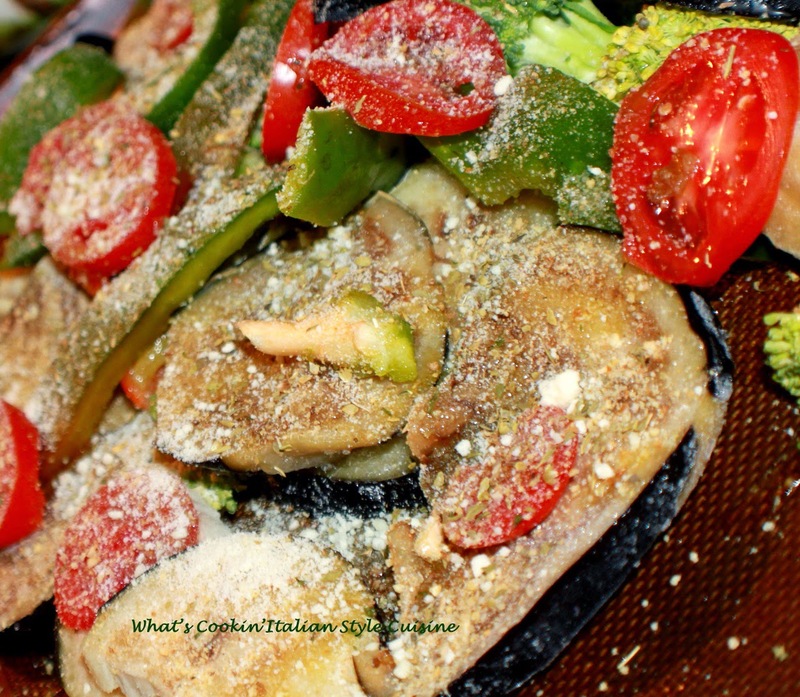 Of course if you even want even less calories don't add the bread crumbs the garlic and oil will infuse perfectly and meld well with all the vegetables you roast. 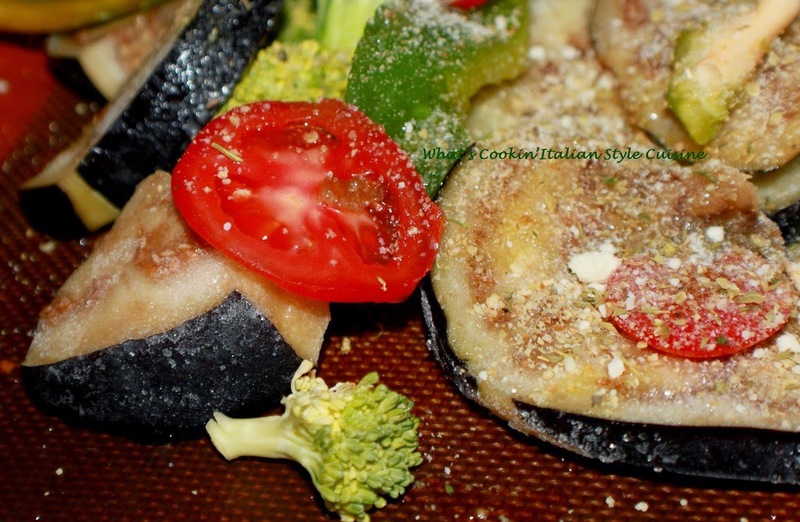 The tomato and eggplant are a perfect match here. In a large bowl put the amount for your family of vegetables, (around 4 to 5 cups of assorted vegetables). Add the oil and seasonings with fresh herbs. Toss to evenly coat. Spread out on parchment paper or silpat mat and sprinkle with cheese and top generously with bread crumbs. Bake ( roast) at 400 degree hot oven for around 35 to 45 minutes until they start to brown.